Assignment topic: "Chocolate can make you happy. Discuss." It doesn't matter how you display your keywords, so long as you write them down and organise them. See the concept map, table and list below. 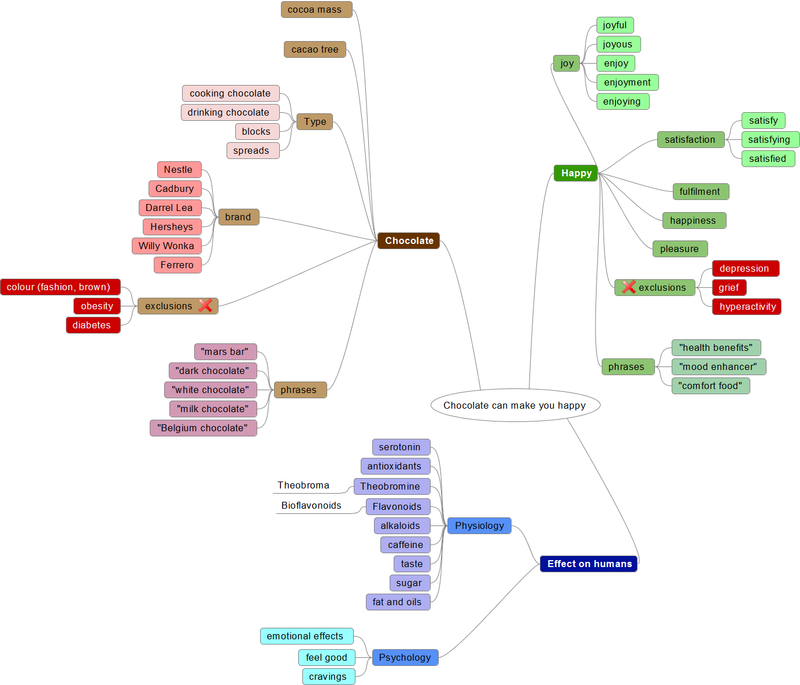 You might create a concept map to group your keywords. You may prefer to create a table for each of your main keywords. You can design the table to suit you, including words with the same meaning, related topics and keyword variations. A list is the simplest way to organise your keywords. Just start writing everything you currently know about the topic, and use a thesaurus to find alternative words.